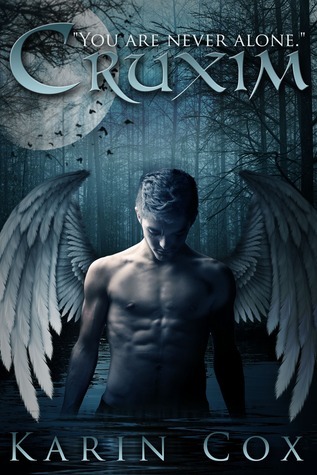 Amedeo is Cruxim, a mysterious, immortal fallen angel. Destined to seek redemption as a vampire hunter, he quenches his insatiable hunger on vampire blood. But when the object of his passion, the novice nun Joslyn, is turned into a vampire and enters a vampire coven, Amedeo's worlds collide. Shattered by the loss of his beloved, he vows to rid the world of vampires once and for all, even if it means destroying Josyln in the process. Joining Amedeo on his quest to rid the world of the undead is Sabine. Half-woman, half-lioness, she is a Sphinx, a Guardian who has protected humans from vampires since the dawn of time. Yet Sabine comes to this fight pursued by her own enemies. An evil scientist, Dr. Claus Gandler, knows the secret of Sabine's mythological past, vowing to torment her for eternity or destroy her forever. I was drawn to this book because it was different. The Sphinx are very rare to read about and I had never heard of the Cruxim before. I was curious as to what this creature was. Ame is torn between his need to kill vampires and the love he feels for a Josette. Then along comes Sabine the Sphinx. Things get even more complicated. Josette does a deed so stupid to try to win Ame heart for ever and ends up comdemninh herself and him. When he meets Sabine the adventure he has with her ends up leading him to cross paths with Josette once again. Throw in some evil doctors and a curious freak show and you get a pretty good mix of weird, Island of Dr. Moreau kind of setting. It is very fast paced and will keep you on the waiting for the next twist. It was hard for me to follow the story. I did feel Cox rushed the storyline a bit and in doing that left out the descriptive element that was needed to help me understand "where" I was. I like to feel I am there and that background setting was lost. Other than that I thought she was able to interweave a great story that was dark and mysterious for readers of mythology.